Codependency is a ‘relationship addiction’, often seen in parent-child relationships. We can often confuse narcissistic parents with codependent parents. But there are differences. 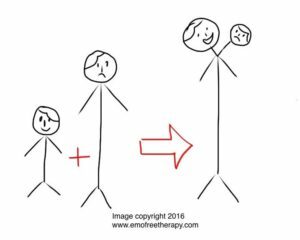 Of course a narcissistic parent raises a codependent child who often attracts narcissistic partners, but that’s a topic for another day. The difference lies in the degree of control they exert over the children. They also differ in terms of empathy. Codependents have empathy while the narcissistic parents don’t. Often there are overlapping features/traits between codependent parents and narcissistic parents and you will see that in this article. Who is a Codependent Parent? I often speak to clients who have codependent parents. A codependent parent-child relationship is an enmeshed relationship where the boundaries are blurred. Children of codependent parents have a tough time coming out of these enmeshed relationships. Before I go further, it is important to distinguish between codependent and interdependent relationships. On the other hand a codependent relationship depletes the individual’s resilience, resourcefulness and strength. In this article I am going to highlight some of the significant characteristics of codependent parents and the impact this has on the children. I will be using brief examples from multiple real life client cases. In a normal parent-child relationship, the nurturing that the parent gives to the child comes naturally and is influenced by the parent’s desire for the child’s welfare. It is normal for a parent to have aspirations and expectations from the child but in a codependent relationship, it’s more about the parent, what they want, than the child’s genuine needs. Even though the codependent parent thinks whatever they are doing is for the children’s welfare, they fail to see how much of those decisions are based on keeping the child in their control and overly dependent on them. A Codependent parent is always right. There is no space for a healthy debate or discussion with their children. The children aren’t allowed to express their opinions if those opinions aren’t similar to those of their codependent parents. Any difference of opinion will be seen as an act of rebellion and squashed at the earliest, through subtle manipulation. In the end the codependent parent makes sure that the child’s opinion changes to fit their own opinion. The codependent parent has difficulty in understanding the child’s needs. Children of codependent parents repeatedly get the message that their needs and wants are secondary to their parent’s needs, and hence they stop valuing their own needs. And if they try to assert they are given silent treatment (not being spoken to) or physically punished (spanking). Codependent parents blame everyone for their problems and take no responsibility for their actions. They refuse to work on themselves and resolve past traumas, instead dumping all their unresolved emotions on their children. They always act like a victim in front of their children. Many a times they share their victim stories with their children to garner sympathy. They often expect their children to right the wrongs in their past and even blame them if they aren’t able to fulfill these unrealistic expectations. In a healthy child–parent relationship, parents allow their children to express all their emotions, even their disappointment, anger, hurt etc with the parent and they seek to understand the child’s emotions and genuinely apologize when they have hurt their children. A codependent parent makes everything about themselves. Children of codependent parents often say that their emotions were hurled back at them when they expressed them; the parent turned their emotions around and made it about themselves. For example if a teenager says, “ I am angry with you”, the parent repeats it by saying, “I am angry with you too” . A client said that whenever she called out on her mother’s behaviour, the mother became defensive and angry and said that the daughter didn’t care for her, how rude she was and was this the way to talk to her mother etc. She would start crying when her adult daughter brought this up; till date the daughter feels unheard and misunderstood. Children of codependent parents grow up feeling immensely responsible for their parents’ happiness. They were somehow made to feel that they had to keep pleasing their parent to keep them happy. The codependent parent cannot manage their own emotions; they have difficulty in self-regulation. They vacillate between extreme show of affection and sudden angry outbursts. 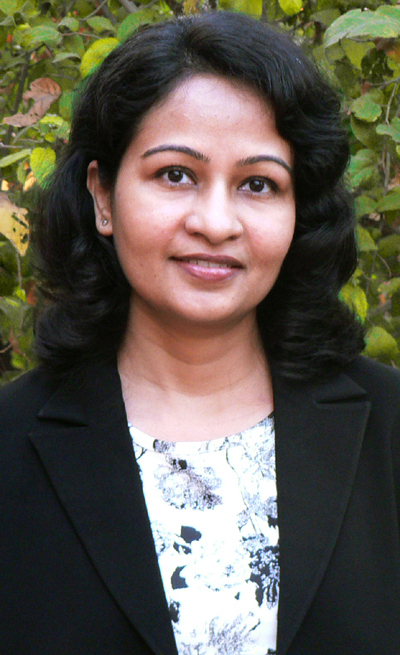 They cannot handle or cope with any kind of stress and usually have rapid mood swings. A codependent parent is emotionally manipulative. They will manipulate subtly to get their point across by using guilt as a weapon. They are skilled in taking their child on a guilt trip (“If you do this…., I will not love you anymore”) or threatening them with abandonment. (“If you don’t do this, I will leave you”) This trait is present in narcissistic parents in a higher degree. Although everyone would like to think that they are the best parents, normally parents have a healthy understanding of their own behaviour and are open to changing their behaviour when needed. However, a codependent parent is miraculously blind to their own faults. They don’t take responsibility for their actions; can never believe that the child is hurt because of them. It’s always someone else’s fault. A codependent parent never listens. 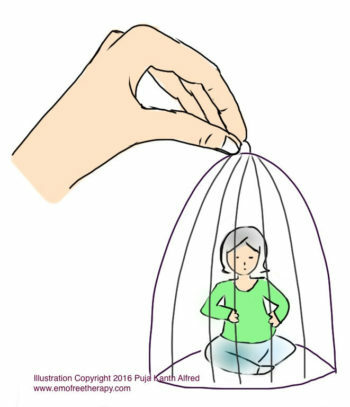 Adult children of codependent parents (post 30s) realize that they were treated unfairly, they were unheard, visible to the parent only when the parent needed them for their own reasons. Grown up children of codependent parents often say that they were held responsible for bizarre matters that didn’t even make any sense as the parent never listened to their side of the story. For example, a client’s father wanted him to take on the financial burden of his business when he was a teenager. And when he couldn’t handle it, he was blamed for not helping. 1) They get the feeling that their needs and wants aren’t important. 2) They are plagued by guilt and anxiety. 3) As an adult, they feel that they had to take on adult responsibilities at a young age; behave like a mini-adults. 4) Feeling overly responsible for their parent’s moods and needs. 5) They feel like they are walking on egg shells. 6) They constantly try to appease the codependent parent. 7) As grownups , they tend to be clingy in relationships, although they might also take up the role of a savior for others. Conclusion: The worst part is that a codependent parent reading this article will think that they are not codependent. They aren’t aware of the way they behave as they think that enmeshment is a healthy parent-child relationship! However, if they are willing to recognize these signs, they can get into psychotherapy and bring about positive changes. They don’t lack empathy unlike the parents with narcissistic personality disorder, which will be the next blog post. Stay tuned! People with Narcissistic personality disorder (NPD) have an inflated and grandiose sense of self. They think themselves to be superior to others and are extremely selfish. How they are seen in public matters a lot to them. On the outside they are an ideal spouse, lover, parent and friend. The world sees them as charismatic, successful, enigmatic; they have a larger than life persona. For example, a narcissist mother will throw lavish parties for her daughter and will be seen doting on her in the pictures, while showing a completely different side of her personality in private. She will be far from nurturing in her private life. However, every successful charismatic, extroverted person isn’t a narcissist. Many people have a high self-regard and a healthy self-esteem that might be seen as narcissistic in societies that value humility. They tend to do things that only serve them. They will manipulate, control, abuse and dominate people closest to them, without holding any accountability. A narcissistic parent does the same. They see the child as an extension of themselves, brought on this earth for the sole purpose of becoming their miniature selves and to obey them. Control: They manipulate and brainwash their kids; they are master manipulators. They surpass the codependent parents in this category by miles. Children of narcissist parents get the message that their needs and wants are not important. They have to behave exactly how the parent wants them to. They are manipulated into doing what the parent wants. For example, an 8-year-old boy wanted to take piano lessons but the mother told him that it wasn’t good for him. This wasn’t because there was any shortage of time or money but because she wanted to spite her ex-husband who was all for it. She blatantly manipulated the child’s interest to show how much she was in control of the situation. The boy gradually stopped protesting and started thinking that he didn’t have any interest in it as well. A narcissistic parent will keep repeating and demanding something until you yield. I’m always right: A narcissist parent is always right. There is no space for a healthy debate or discussion with their children. The children aren’t allowed to express their opinions unless those opinions are similar to those of their narcissistic parents. Any difference of opinion is squashed at the earliest through punishment or manipulation. In the end, the narcissist makes sure that the child’s opinion is changed to fit their own opinion and the child is even influenced to feel that their personal opinion has no value. Seeing the child as a surrogate spouse or friend: In a normal and healthy parent-child relationship, the child is guided by the parent. 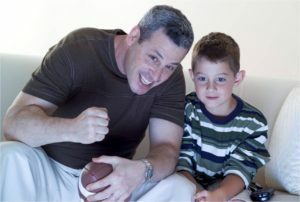 While the parent can become a friend to the child, the primary role is that of a parent, until the child is old enough to see the parent in the role of a friend as well. In narcissistic parenting, sometimes the child becomes the parent, the care-giver, the savior. The parent ends up behaving with the child as a friend or spouse – both of which are equally unhealthy for the child and the parent. My client’s divorced mother shared inappropriate personal details, about her ongoing relationship, with her 7-year-old daughter. She also shared each and every tiny detail with her – her fights with her friends, her boy-friend’s quarrels with her etc. She ended up burdening her daughter with inappropriate information that the child wasn’t equipped to digest. This kind of parenting severely limits the child’s capacity to develop his/her unique self. 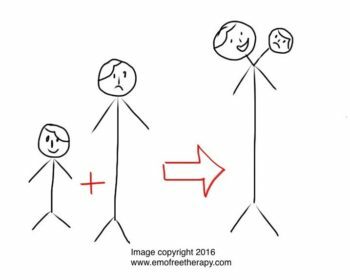 The parent changes who the child is by constantly engulfing and/or rejecting the child; the parent doesn’t draw any healthy boundary. 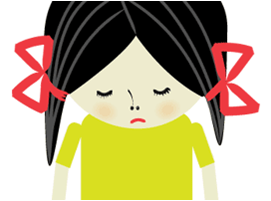 Disconfirmation: They continuously disconfirm the parts of the child’s personality that they don’t like seeing – like growing autonomy or having personal likes and dislikes. The child ends up repressing their feelings and disowns the parts of their self that are disliked by the parent. For example, if you cry when you are hurt, your narcissistic parent will tell you to stop crying and be strong. “It’s nothing, what are you crying for?” I have worked with grownup children of narcissistic parents who felt crazy for expressing their most basic human needs of being listened to and understood. Their parents turned a deaf ear whenever they expressed that they were hurt or upset. No empathy: They have no empathy for the child’s state of mind. Since the child is continuously subjected to the parent’s mood swings and silent treatments, the child is anxious and fearful to go against the narcissist parent’s wishes However, the parent is oblivious to all this. Diminishing the child’s personality: The children of narcissistic parents realize at a young age that they have to diminish their personality to mould themselves into what their narcissistic parents want. They have to give up on their individuality to survive. For the sake of self-preservation they will do anything they are told. If they don’t fit into the behaviour prescribed for them, they are ignored for hours and days and they end up apologizing to their parents in order to make amends and appease them. The punishments range from silent treatment to physical abuse and neglect. Inconsistent behaviour: The narcissists vacillate between apathy and showing love and affection. Often children of NPD parents are left guessing as to what their parents feel. The narcissists often use double meaning words, give vague references, keep the child guessing and seldom answer their children directly, in order to control them. You might keep pleading to your narcissist parent for hours to speak to you and he/she will keep ignoring you, till you do what you’ve been asked to do. Abuse in the name of discipline: Children often get punished for not obeying their narcissist parents. And they are manipulated into thinking that being slapped, spanked, abused and/or the silent treatments they are meted out to them are okay – that it is good discipline. Favouring one child over the other: The one they choose gets all their praise and attention. The other child becomes a scapegoat and gets blamed all the time. One of my clients was recounting how her elder sister got all the praises and my client was blamed and criticised all the time, although she took care of her mother in her old age and her sister didn’t. All her elder sister’s transgressions were forgiven and even a minor mistake by my client was withheld against her and used to manipulate her. They make the children feel flawed: Their inconsistent behaviour and mood swings, make the children feel responsible. The children want their parents to be happy and appease them constantly, and when they fail they take the blame on themselves. They feel they have failed in making their parents happy, which is clearly not a child’s job. They are jealous: They want the child to ‘only’ love them and depend on them. They get very jealous when children show love for anyone else, even their own spouses. If the child is happy with another person, the narcissist parents think they are losing control. They express disapproval for this and try to make the child feel guilty for being happy. For example, one of my clients recalled how as a child when her mother gave her one of her silent treatments, she would frantically ask her, “Why aren’t you talking mom? Are you okay? Are you sad? Are you angry?” and get no response from her. Not taking responsibility for their mistakes: Whenever my client brought up incidents from her childhood when she felt unheard by her mother, the mother kept brushing it aside, instead blaming the client for bringing it up and making a big deal out of it. Conclusion: If a parent has narcissistic traits as opposed to a full-blown NPD, they can benefit by going for psychotherapy. However, people with Narcissistic personality disorder rarely see psychotherapists and if they do, they have difficulty in taking responsibility for their actions. They do have a lot of internal shame that they cover up with manipulation. If they can truly acknowledge and accept their mistakes, talk about their personal traumas, learn to empathize and are willing to change their manipulative tactics, they can surely heal.